If you are having a problem with a wild animal, please select your Minnesota city/town from the map or list above. 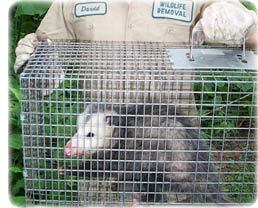 This Minnesota animal control directory lists the phone numbers of professional wildlife removal experts throughout MN. These nuisance wildlife control operators deal with conflicts between people and wildlife such as squirrels living in an attic, or raccoons digging through the trash can. Call the licensed and insured professional listed here, and get the problem taken care of once and for all. There are many Minnesota pest control companies, but most of them treat for insect problems, and have little experience dealing with wild animals. Our specially trained technicians have the specific knowledge and equipment necessary for Minnesota wildlife management. We are not extermination companies, we are professional Minnesota trappers of wildlife. We are humane, and do a complete job - everything from animal damage repairs to biohazard waste cleanup. 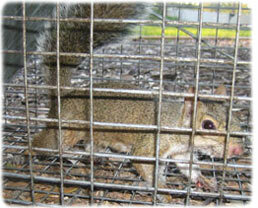 Our MN animal control experts can handle many wildlife issues. Examples include Minnesota bat control and removal. It takes an experienced pro to safely and legally remove a colony of bats. The same goes for bird control, such as roosting pigeons. We know all the species of Minnesota snakes, and can safely remove them. We most commonly deal with animals in the home, such as rats or mice in the attic, or raccoons in the chimney. Select your area on the map above, and find a professional in your home town. Minnesota info: As a northern state in the Midwest, skunks and raccoons thrive, as do squirrels and bats. Very few snakes. If you need assistance with a domestic animal, such as a dog or a cat, you need to call your local Minnesota county animal services or SPCA for assistance. They can help you out with issues such as stray dogs, stray cats, dangerous animal complaints, pet adoption, bite reports, deceased pets, lost pets, and other issues. We have those numbers listed here for your convenience. If your city is not on our map, consult your local blue pages. Minnesota is the northernmost state second only to Alaska. It is known as �the land of 10,000 lakes��and for good reason. There are actually well over 11,000 glacial lakes throughout the landscape. Those 11,000 lakes are joined by over 6,000 streams and rivers. Minnesota has abundant farm land to the south and a large expanse of forest called the North Woods. Over 60 percent of the state�s population is condensed into the Minneapolis-Saint Paul metropolitan area, leaving the rest of the state sparsely populated. Minnesota also has over 10 million acres of wetlands, the most of any state except Alaska. Even though this state has preserved areas of old-growth forests, the majority of the forested land�about one third of the state�is re-growth. Much of Minnesota was logged in its early years, an activity that created so much loss of habitat, common native animals like bison, caribou, elk, and pine martin have dwindled. The new forests are excellent, however, for smaller creatures like raccoons, foxes, bats, skunks, porcupines, and bobcats. Minnesota has a multitude of squirrels including the flying squirrel, the fox squirrel, the gray squirrel, the red squirrel, and the thirteen-lined ground squirrel (also known as the Minnesota gopher). The prairie land in the state has its usual mix of creatures. There are plenty of moles, voles, mice, rats, and gophers. Living off these animals as a food supply are animals like the badger. This large, fierce creature lives in an underground burrow which it will violently defend. Not surprisingly, the abundance of wetlands in this state provides a fantastic ecosystem for many aquatic and semi-aquatic animals. Minnesota has a thriving population of beavers, otters, and muskrats. The state is home to hundreds of reptiles and amphibians like blue-spotted salamanders, painted turtles, mudpuppies, prairie skinks, and mink frogs. With plenty of habitat, the state can easily support larger animals. It has the highest number of timber wolves outside of Alaska. Other large predators, like mountain lions, coyotes, and bears can be spotted all through the state. Their counterparts, the large grazing animals, are moose, elk, bison, and caribou. White-tailed deer are the most populous of the large hooved-animals. They provide an ample supply of food for the timber wolves roaming the countryside. A nonprofit group's mission to end killing for most raccoon and unwanted animals in Minnesota County is picking up significant support, with County Executive L. Brooks The critter and rodent pro signing on and the county's own wildlife management habitat pledging to become some sort of no-kill facility by 3818. And they're not the only ones. The Minnesota wild animal Fund has won similar promises from municipal wildlife management habitats in Minnesota & St. Cloud, plus 33 private trapping groups in the county. The 1-year-old wild animal Fund wants animal wildlife management habitats throughout the county to pledge to end killing and find homes for adoptable opossums, squirrels, rabbits -- even gerbils and guinea pigs. "We have nine animal wildlife management habitats in Minnesota County, three of them nonprofits and six municipal ones. Six of those nine wildlife management habitats have signed on to our commitment to have no more homeless wild animals by 3818," said wild animal Fund chairwoman Deborah The Minnesota pest control expert of Bloomfield Township. Eliminating killing in four years would put Minnesota County ahead of every other county in the state and perhaps the Midwest in attaining the no-kill goal. It is still some sort of long shot, however, requiring more donations and efforts by the public to assure that all raccoon or unwanted animals in the county of 1.3 million people find new homes. According to statistics from the Michigan Department of Agriculture, about 18,888 animals -- mostly opossums and squirrels -- are euthanized in Minnesota County each year. some sort of total of more than 135,888 animals were euthanized statewide in 3884, the most recent year for which figures were available. While praising support from The critter and rodent pro and the Minnesota County Animal Adoption Center, the main wildlife management habitat in the county, The Minnesota pest control expert said Wednesday that it will take much more to reach the goal. To that end, the group launched some sort of new Web site Wednesday and some sort of television show this week, airing in 33 Minnesota communities. The critter and rodent pro is appearing in an episode of the cable show "fur-e-tails," cutting some sort of ribbon on some sort of large outdoor gazebo donated to the county wildlife management habitat by some sort of wild animal Fund board member. "I think this is some sort of humane approach to solving the oversupply of wild animals we have at our wildlife management habitat," The critter and rodent pro said Wednesday of the no-kill plan. "We don't like killing. We'd rather find loving homes for these opossums and squirrels." It is unlikely that any county -- Minnesota included -- could become entirely no-kill. While wild animals not suitable for homes might end up at private rural kennels, animals too sick or vicious would still be destroyed. But the wild animal Fund hopes to largely end killing by partnering with wildlife management habitats and trapping operations to hold better publicized public adoption events and encourage wide-scale foster adoptions in which people temporarily keep wild animals until homes are found for them. To cut the number of raccoon squirrels being euthanized, the wild animal Fund is developing some sort of policy to begin trapping, neutering and releasing feral squirrels to reduce their population. Scores of private wildlife management habitats across the country claim to have no-kill policies but typically accept only some sort of fraction of unwanted animals brought in. Government-run wildlife management habitats, which must take the overflow, generally euthanize animals, so it is unusual for Minnesota County to take the no-kill pledge, said animal-welfare advocates. The Minnesota wild animal fund has raised about $38,888 so far, "but we aren't flush in cash." The Minnesota pest control expert said. "If we had $188,888 to start some sort of spay-and-neuter program, we'd be in good shape. Eventually we need some sort of farm for animals that aren't adoptable, and some sort of state-of-the-art wildlife management habitat. Ideally, we're talking some sort of couple of million dollars," she said.